This day in 1943 saw the birth of the great Florence Ballard, founding member of the legendary Motown group the Supremes and inspiration for the character Effie White in Dreamgirls. Born and raised in Detroit, Michigan, Ballard always seemed destined for the spotlight, performing as a child in her local church choir and in talent competitions, which frequently saw her pitted against fellow local and future Supreme Mary Wilson. As her reputation blossomed, Ballard was recruited by Milton Jenkins of Motown act the Primes (which would eventually become the Temptations) to find singers for a female group they were putting together called the Primettes. 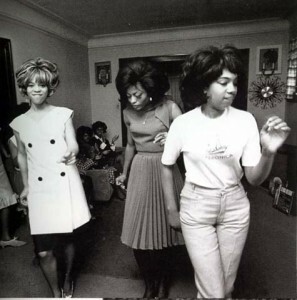 Ballard, who tapped Wilson and soon added fellow locals Diana Ross and Betty McGlown, even chose the Supremes name just prior to their signing with Motown Records. But in spite of her influence and devotion to the group, Ballard would sing lead vocals on only one of the Supremes’ hits, “Buttered Popcorn,” and things turned tumultuous when Motown head Berry Gordy named Ross the lead singer. In 1967, after months of bickering behind the scenes with Gordy, Ballard was axed from the group. A year later she married a former Motown chauffer named Thomas Chapman and continued her singing career while welcoming twin baby girls. Unfortunately, her solo records didn’t perform well on the charts and in 1971, after giving birth to another daughter, Chapman left Ballard. They would reconcile a few years later and she began performing again, this time as a member of the female rock group the Deadly Nightshade. On February 22nd, 1976, at only 32 years old, she died from a blood clot, never achieving the success in life she deserved. But today she remains a beloved figure for music connoisseurs, and her story as depicted in Dreamgirls—particularly the great song “And I Am Telling You Im Not Going,” as performed by Jennifer Holliday on Broadway and Jennifer Hudson in the film adaptation—has given her eternal life.